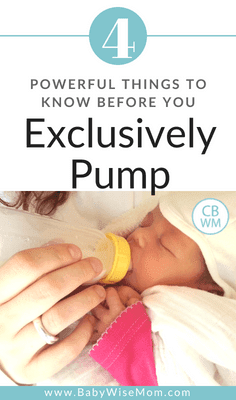 4 Powerful Things To Know About Breast Milk Before You Exclusively Pump. The facts are not cut and dry. 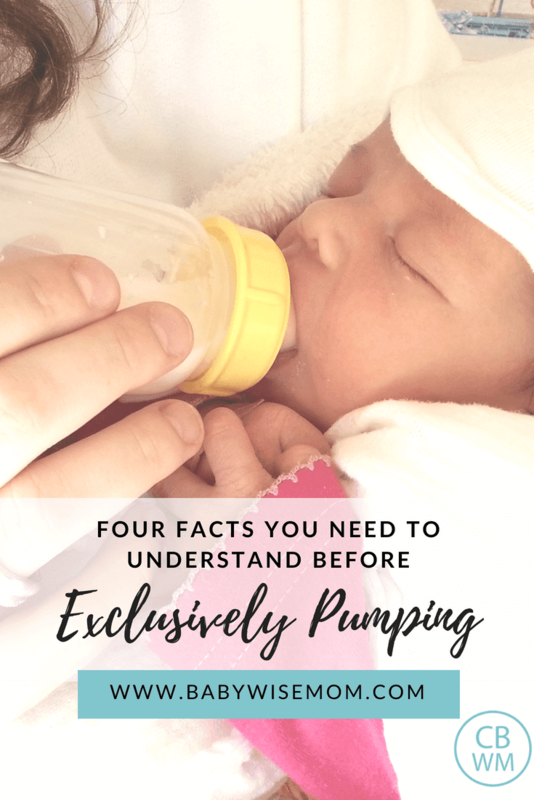 There are factors you need to consider before deciding to pump instead of formula feed. There is this huge push nowadays that “breast is best”. So much so, that when breastfeeding isn’t working out easily, many mothers are taking to full time pumping, freezing, and using this breast milk storage for their baby. Our bodies are pretty amazing. Did you know that your body receives signals from your baby’s saliva, and in turn makes changes to the composition of your breast milk? Your breast milk also changes throughout one feeding, throughout the day, and has different composition from month to month. What if pumping isn’t as ideal as we think? How careful do we need to be with it? Should a 6 month old baby, be given pumped milk from when he or she was 3 months old? For moms that are breastfeeding, and then pumping to gain freezer storage for those moments in need… is that really the best option? When is the ideal time to pump? Is after a feeding ok? As far as I can tell, there really hasn’t been much research done in this area. I personally think there needs to be, however. Since, as a society, we are pushing breast milk as the “best” option, many moms are feeling guilted into pumping and storing milk, when they otherwise may have just used formula. Formula has been highly researched and we know it is a safe, good alternative. In fact, it has some advantages such as being enriched and fortified with iron. Pumping, storing, and feeding is most likely also safe– but what if it isn’t as straightforward as we think? We know that in the first few days of your baby’s life, your body produces a thick substance called colostrum. After this comes the transitional milk (basically a mix of colostrum and mature milk) which can last for up to two weeks. Then the mature milk comes in. Moms that have pumped and stored their milk in the freezer, will also tell you that the color and thickness of milk changes from week to week, and month to month. A nursing session starts with what is called foremilk. This milk is relatively thin, it is high in lactose and is good for quenching your baby’s thirst quickly. Hindmilk comes at the end of a full nursing session. This milk is higher in fat content, and is a thicker, creamier milk. Very minimal iron is contained in breast milk. By 6 months, the iron stores are depleted and hardly any is passing through. Just another change to be aware of. Click here to read about why breastfed babies need iron supplementation. Evening milk has more serotonin to help your baby sleep. Fat content and immune boosting properties change during growth spurts and illness. Our milk changes so much. I don’t know the perfect answers. I just know that as a mom I want to be aware of everything that goes in to every decision I’m making for my baby’s health. I, personally will be cautious, but perhaps just more intentional with the pumped milk that I feed to my baby. – I’d feed stored milk as close to the pump date as possible. This way, milk from 3 months postpartum is being given to a 3 month old baby, etc. I don’t think I’d feed more than 1 month difference in “age”. – I’d make sure to label time of day and give milk pumped in the evening at evening times, and milk pumped in the morning at morning times, etc. 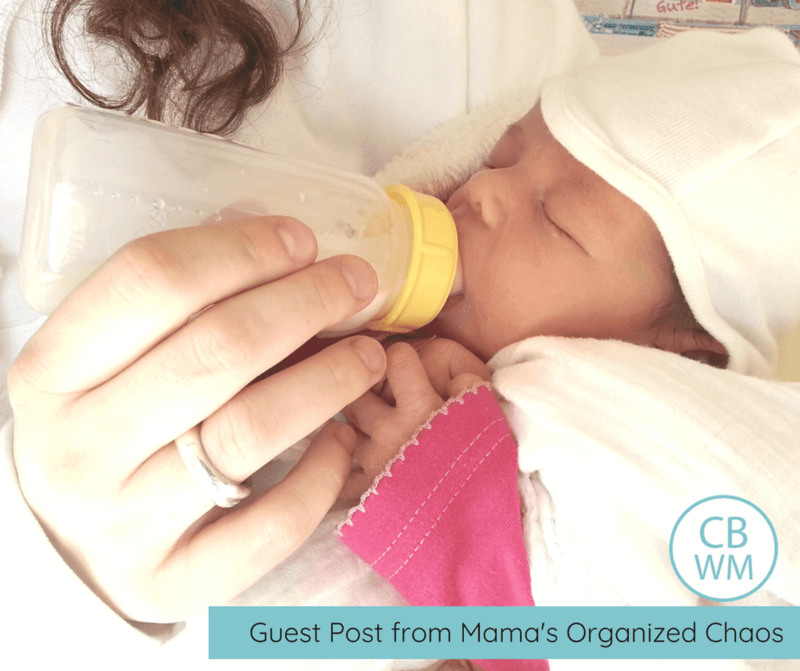 – If breastfeeding and pumping, I’d make a separate pumping time away from a feeding. This way, the milk has foremilk and hindmilk (not just one or the other). – I also wouldn’t shy away from using formula if needed. Pumped milk has some great qualities and immune boosting capability. As I’m learning more about our breast milk, however, I’d almost feel more comfortable just giving formula that I know is right for the age of the baby, or even doing both to make sure I’m covering all of my bases. These are just my opinions and thoughts. My mind likes to think about scientific things like this. I am a stay at home mom that was once a chemist and engineer. It’s just how my brain works. I want more information, and I so wish there was more research on all of this. For now, this is just my mama brain working with my scientific brain postulating some hypotheses and sharing with other moms. Food for thought. I appreciate the scientific approach to this post, but, as a mom to an 11 day old baby in the cardiac infant care unit, I find it rather discouraging. My son is on TPN right now (total parental nutrition) because he can’t have milk from me for several days. I’ve been pumping like crazy and freezing with the hopes of being able to supply him with quality nutrition when he can finally eat. However, I feel like this post is implying that there is no point in pumping. Many moms are working or, like me, have sick babies and have no choice. We are doing the best we can. Let me start by saying I really appreciate this blog and all the information. I find myself going back to it with every baby. But, I found this post to be very inaccurate, at least in my personal experience. I also found it discouraging to anyone that doesn’t have option to nurse. I am on baby #3, which I am exclusively breastfeeding. With my first two babies, I ended up exclusively pumping by 3 weeks old, for varying reasons. 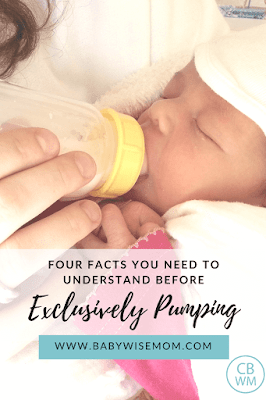 If done correctly, pumping yields the same nutrition benefits as breastfeeding. 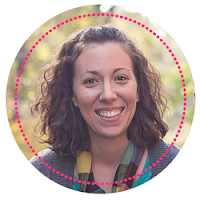 Both of my children thrived on pumped breastmilk, no problem. They received both frozen and freshly pumped, without regard to time of day pumped or month it was pumped (except it was obviously within the recommended guidelines from the CDC). Also, there is reliable research out there now saying that the amount of foremilk and hindmilk in a 24 hr period is the same whether via breastfeeding or pumping, bc any foremilk not removed in previous session will be removed in next session. Also, when you consider all the women that go back to work after baby and end of pumping the majority of the feedings, those babies also typically thrive. My first two babies that I exclusively pumped for enjoyed a very healthy first year of life, with zero illnesses. Thanks for sharing your thoughts Brittney! Katrina was definitely not trying to raise controversy with this–she was posing questions for people to consider.